Getting a degree in environmental science can open up endless career opportunities for you, so as students interested in environmental science, you will be the ones that are going to help change the world we live in! Therefore, where you go to school is of utmost importance. There are many schools with a lot to offer in this field, however finding the right school for you is what matters most. 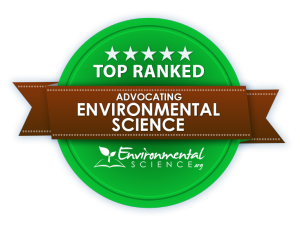 We have organized a few topics to consider in order to help with your decision as you browse our environmental science school rankings. For more information about our rankings, read our methodology below. It's difficult to imagine studying the interactions of the natural world from the city - that's why the best Environmental Science programs tend to be offered in schools that are located in areas that give students the opportunity to get out of the classroom and into nature. Does your Environmental Sciences program ‘walk the walk'? You're going to take your commitment to environmental sustainability and action beyond the classroom, so what about your school? Decide whether you want a school that directs funds toward visible sustainability measures - LEED Certification, low impact architecture, solar energy use, and net carbon footprint are just a few of the criteria that your school choices may advertise. Are they active in their field? Do they participate or advocate for any environmental issues that will benefit the environment on a local, national, or global scale? Their passion and breadth of experience will help take young minds beyond the textbook. The world is a vast place - in order to change it, you must be willing to see it. Study abroad can be a valuable component in education. Perhaps there are fields where graduates will sit at desks, using computers and consulting manuals, but environmental sciences isn't one of them! The more diverse the opportunities are for learning, the more prepared you'll be for employment after graduation! Make sure that your curriculum outlines lab and field work, in-class components, large projects, research, internships, volunteer work, advocacy, and study abroad in order to ensure that you get a diversity of learning experiences. Diversity breeds stability in nature, and in education as well. Having a variety of courses to choose from in order to round out your degree and inform your perspective on environmental science is key for getting the kind of education - and job - that you want. Some students prefer the lab while others would prefer the shortest classroom time possible. Make sure that you closely examine your preferences before you commit to either more or less classroom time that you're comfortable with. Environmental science designations come at all levels: Associate's degree, Bachelor's, Master's, and Doctorate level work. Just like a stagnant pond, a stagnant educational climate doesn't produce anything worthwhile. Sometimes the best way to measure this in a rapidly evolving field is to look for where and how research dollars are spent, and what kind and quality of research environmental science faculty and graduate students undertake. Now that we've given you some criteria to consider, here comes the hard part - choosing a school! We've already gone through and assessed all the schools on our list for these factors and many more - what's left is to see not ‘if' you're going to change the world through an environmental science major, but rather ‘how' and ‘where'. Schools were sorted in order of the highest percentage of total students graduating with an environmental science degree (CIPCODE: 03.0104). Pomona College is a liberal arts college located outside Los Angeles, California. Committed to preparing their students for a career in one of the most formidable challenges facing the world in the 21st century, that is, daily living in a world under strain from climate change and population growth. Pomona Colleges Environmental Analysis programs are highly interdisciplinary and encourage the broadest range of applicants possible in order to strengthen the program. In addition to directly related fields, Environmental Analysis program prepares students for careers in community action, environmental education, and urban agriculture. SUNY College of Environmental Science and Forestry (ESF) is located in New York State close to New York City. SUNY ESF is proud to be a leading post-secondary institution with focus on environmental challenges. The college's mandate is to help students envision a society that meets human needs for the natural world, while safeguarding living resources for future generations to observe and protect. SUNY ESF strives to create and educate leaders while inspiring and informing the public about our world. Pitzer College, a private liberal arts college located at the base of the San Gabriel Mountains in Claremont, CA emphasizes the arts, humanities, environmental and interdisciplinary studies as well as social, behavioral and natural sciences. Pitzer College is part of an academic network including Scripps College, Claremont McKenna College, Pomona College, and Harvey Mudd College. Each college is located conveniently within walking distance. This network offers students the opportunity to individually design majors from an academic program within these five schools. Pitzer does not require applicants to submit ACT or SAT scores but they must be in the top 10 percent of their senior class or have earned a 3.5 GPA. Allegheny College proudly wears the label of an 'up and coming' liberal arts college and is located in Pennsylvania. Allegheny's Environmental Sciences program teaches students to analyze the relationships between humans and the environment that we live with and use. Students enrolled at Allegheny can either major in Environmental Science, which focuses on the chemistry and biology of our changing world, or major in Environmental Studies, which has a broader interdisciplinary scope and focuses on such fields as law and policy, art, literature and philosophy. Maharishi University of Management is located in Fairfield, Iowa. In the Sustainable Living undergraduate or Master's program , learn about humans' impact on the world through transdisciplinary, project-based approach to higher education. Maharishi offers five tracks through the program: Renewable Energy, Applied Soil Ecology, Policy & Social Change, the Built Environment, Agriculture & Food. Additionally, Sustainable Living conducts classes in a net zero energy environment that is student managed. The Colorado College Environmental Program focuses on students' understanding and synthesizing their connection to the world and its environment, attaining the scientific skillsets to explore human interrelationships in the global ecosystem, and pursuing interdisciplinary approaches to solving problems that these interrelationships create. Colorado College offers majors in Environmental Science and Environmental Policy, disciplinary tracks in Environmental Chemistry and Environmental Physics, and a thematic Environmental Issues minor that can be appended to other majors within the college's framework. Juniata College is located in Huntingdon, Pennsylvania and is nationally ranked for their undergrad summer research programs in science. Juniata's students learn from dynamic field experiences that are built into the curriculum, and that take advantage of unique geological and ecological zones in the area. The college prides itself on its high rate of fully-funded students who are admitted to graduate school. Juniata offers four majors - each with their own scope of studies. Students can major in environmental science, environmental studies which has a broader interdisciplinary base, wildlife conservation, or environmental economics. Additionally, Juniata offers a highly-sought-after certificate program for Geographic Information Systems (GIS). Sonoma State University is located one hour north of San Francisco right in California's wine country. SSU is a public institution that not only offers a beautiful campus, it is safe, friendly and offers students a range of educational programs. Their degrees range with more than 46 majors and 47 minors at the Bachelor's level including 15 career paths including business and nursing. Sonoma State is the only university in the country to offer a program that concentrates on the business end of the wine industry. Sonoma State boasts a very active Alumni Association with a total of 53,000 alumni and annual alumni programs and events to strengthen the alumni relationship with the university. Bard College, founded in 1860 is firmly committed to the liberal arts and sciences plus a willingness to innovate their programs to offer students a world class education. Bard's original main campus is located along New York's Hudson Bay, but they have campuses worldwide in Boston, California, Russia and Germany giving students unlimited global opportunities. Bard students are encouraged to take risks and and held to the highest intellectual standards. Undergraduates can earn a bachelor or arts degree in 35 programs including the arts, languages and literature, computing, social studies, mathematics and more. Students receive a broad academic foundation, but are encouraged to pursue individualized programs by taking ownership of their education. Located approximately 300 miles north of San Francisco in Arcata, California, Humboldt State College is ideally located to be a leader amongst Environmental Science programs. The campus is situated near ancient redwood forests, mountains and beaches ideal for field work. Students in Environmental Science can specialize in one of four areas: Ecological Restoration, Environmental Policy, Energy and Climate, or Geospatial Science. At the core of Humboldt College's ES program is the drive to foster a practical problem-solving approach toward human-environmental interrelationships. University of Washington Tacoma offers both undergraduate and graduate academic programs in majors like business, nursing, education, information technology, social work, urban studies and arts and sciences. UW Tacoma is comprised to two branch campuses on the University of Washington. The Tacoma campus opened in 1990 transforming a run down area into a thriving, history rich, growing educational institution supported by the community, The University of Washington and the students who call the campus their home. Founded in 1813, Colby College is a private, independent, four-year, liberal arts college offering bachelor of arts degrees. The campus is located on 714 acres in Waterville, Maine, and boasts net zero carbon emissions. Colby prides itself on diversity of student population. The Environmental Studies program is one of the oldest in the country; the program is nationally recognized for its excellence. The student population is encouraged to lend their skills and talents locally, nationally, and internationally to help solve environmental challenges. Colby prides itself on learning models that are project-based with plenty of field-research opportunities. Cal State Monterey Bay offers an educational opportunity in 25 undergraduate programs and seven graduate programs. The university also offers 30 minors and teaching certifications. Their legacy is to explore innovative ways to educate and empower their student body, mainly those seeking higher education that are low income and need financial aid. More than 7,000 students study and live on a beautiful campus approximately one mile from Monterey Bay. There are also a variety of activities, events and organizations for students to get involved to enjoy a well rounded college experience. The University of South Florida - St. Petersburg ranks 24 in Top Public Schools and 72 in the 2017 Best Colleges in Regional Universities South. The most popular majors are Business, Management, Marketing, Psychology, Social Services, Education and English Language/Literature. The university is committed to researching trends and needs of the community and then engages in projects, partnerships and collaborations to strengthen the community's economic, social and intellectual life. For example, writers are writing about events and accountants are helping low income families with their taxes. And the community comes to the campus providing real life experience in the classroom through lectures, workshops and gatherings. Located in Salem, Oregon, Willamette College is a private liberal arts university. Founded in 1842, Willamette holds the title of the longest standing Environmental Sciences program in the Pacific Northwest. Willamette's unique programming allows students access to extensive field experience as well as policy-making at the local, state, and national levels. Educational concentrations direct student learning toward the natural and social sciences that are key to understanding the natural world and humankind's impact on it. Through classroom, lab, research, field, study abroad, and internship students will be well-prepared to enter the professional arena as teachers, consultants, researchers, policy makers, and professionals. Taylor University was founded in 1846 as a Christian based liberal arts college located in Indiana. Taylor has been ranked #1 regional college-Midwest for the last 10 years by the U.S. News & World Report. They believe in their long standing traditions and engage in both campus and community activities to broaden the student's college experience. They report that 80 percent of their students travel abroad and 97 percent enter graduate school or employed within six months of graduating. Their broad range of degree programs range from accounting to philosophy, from physics to web communication and everything in between. Taylor is committed to helping their students discover, realize and pursue their highest and best use of their "God-given" talents and connect them along their journey. Located in Bellingham, Washington, Western Washington University is a model of sustainability. Forbes magazine ranks Western as having top value in education. Founded in 1969, Huxley College of the Environment has become a leading institution for the education of future environmental scientists and professionals. Huxley's' curriculum grants degrees in Environmental Studies (B.A., B.A.E., M.A., M.Ed.) and Environmental Sciences (B.S., M.S.). Each degree offers multiple concentrations in order to foster diversity and to ensure that environmental problems of the future have a set of leaders who are up to the task of solving them. The University of Dubuque was founded in 1852 and is located on nearly 80 acres in Iowa. This private institution prepares its students to manage change by emphasizing their confidence, strengthening their communication skills, encouraging critical thinking and developing flexibility so they are ready to adapt to different real life situations. Some of the most popular undergraduate programs offered at UD are Aviation/Pilot, Nursing, Education, Graphic Design and Animation. Their low student to faculty ratio is 15:1 so there is personal attention, guidance and attention to help the student discover and uncover their potential. Established in 1947 as a public liberal arts and sciences university, UHH has a renowned Environmental Studies program. The Environmental Studies program intersects with many other academic fields and thus the degree provides an innovative approach for those interested in the impact on the environment from a variety of perspectives. Although both majors share a common concentration, the BA program focuses more on interrelationships and humanities as they apply to environmental issues, whereas the BS program focuses more strongly on environmental processes and research. A certificate program is also offered. The University of Vermont in Burlington has 22 environmentally themed majors and concentrations and is the 5th oldest university in New England. UVM offers a BS degree in Environmental Sciences through three streams within the university. Students are fortunate to have world-renowned environmental scientists in the classroom as professors, coupled with hands-on field and lab opportunities. Within the three schools, students can choose between a greater focus on either environmental sciences or liberal arts focus, or understanding of the environment within the context of agricultural literacy. Dickinson College is a liberal arts college located in eastern Pennsylvania and was founded in 1873. It's purpose is to offer programs that will engage the lives and leadership within the community. It was founded by Dr. Benjamin Rush, who not only signed The Declaration of Independence, but also believed that preparing the country's citizens to become leaders would ensure the success of the new democracy. This message continues today as Dickinson educators prepare graduates to get in touch with their community, incorporate a global vision and create a community of collaboration to engage not only on campus but nationally and internationally. Dickinson graduates are prepared to make a difference. Trinity College is a liberal arts and sciences institution located on 100 acres in Hartford, CT. Their independent approach to majors allows a student to pursue engineering and minor in art or select a political science major but minor in another unrelated subject. Their curriculum encourages students to explore unfamiliar subjects and work towards individual goals. There are 39 majors and 26 minors taught by a 10:1 ratio of students to professors offering a personalized approach to the college experience. There are also community based learning programs, research opportunities and "for credit" internships to strengthen the students' real world experience preparing them for a successful career. Founded in 1889, the University of Idaho is committed to forming the next cohort of thinkers, activists, and policy makers for local, state, and national venues. Through the Environmental Science program, students learn how to protect, preserve and make a difference in managing Earth and its resources. University of Idaho favors a whole-systems approach, which molds professionals who understand environmental science, and also the economic, social and political pressures that affect environmental decision-making. California State University Channel Islands, known as CI is a four year public university located in Ventura County California. CI offers 53 Bachelor's degrees and six graduate degrees that are designed to stretch students to become innovative, creative critical thinkers. The campus includes a unique collection of buildings intentionally designed around a central mall, welcoming quads, courtyards and beautiful open spaces to enhance the learning and living experience. This student centered institution is committed to academic excellence, environmental responsibility and community engagement by offering forward thinking personnel and top rated programs in and out of the classroom. The University of Wisconsin-Green Bay has 40 years in the Environmental Sciences discipline. UW-Green Bay prepares students to analyze, understand, and solve environmental problems. The program emphasizes an integrated approach to knowledge in the environmental sciences field. While the major is based in sciences and math, the curriculum includes a social science component which enables students to gain an understanding of environmental economic and policy issues. Field experiences, internships, study abroad, and practicums are strongly emphasized for learners to gain the most benefit from their education. Westfield State is a comprehensive, coeducational public university in Massachusetts founded in 1838 and was the first public co educational college with no barrier to gender, race or economic class. The campus is rich in history and embraces the educational value of diversity and provides an interdisciplinary educational experience to prepare its students to be critical thinkers and problem solvers within a global perspective. Their liberal arts undergraduate and graduate programs help cultivate knowledge in the arts and humanities, business, science, technology, education and much more. Lynchburg College is a private liberal arts institution located in Virginia in the foothills of the Blue Ridge Mountains. There are approximately 2,800 students who are studying among 40 undergraduate majors, 57 minors and 13 pre-professional programs. Students explore a global focus and some will study abroad throughout their four years at LC. Lynchburg College operates the Claytor Nature Study Center, a 470 acre outdoor classroom research area that offers learning opportunities for LC students and local community residents forging the importance of research and community involvement. In addition to the undergraduate and graduate programs, LC also offers two doctoral programs. The University of California: Santa Barbara is located in Santa Barbara California and offers more than 200 undergraduate majors, degrees and credentials offering humanities and arts as well as engineering and science programs. The school also houses the Bren School of Environmental Science & Management and The Gervirtz Graduate School of Education within their 100 acre campus. Their faculty includes Nobel Prize winners and dozens of highly awarded teachers. UCSB reports their enrollment as more than 23,000 students, nearly 3,000 are at the graduate level. These students thrive in this Pacific Coast atmosphere and become scholars whose accomplishments are recognized nationally and internationally. The University of Virginia, UVA or Virginia is a public research university located in Charlottesville, VA. Designed by President Thomas Jefferson in 1819, is is one of the eight original public Ivy Universities. This four year college offers hundreds of undergraduate and graduate level programs and is highly rated above the national areas in employment after graduation, engagement at work, well being in the community and alumni involvement. UVA offers students a place to foster ingenuity, critical thinking and leadership qualities for a better society and a better world. Founded in 1802, West Point US Military Academy is an important part of US history. West Point is located approximately 50 miles north of New York city on the banks of the Hudson River. The academy develops cadets to live with uncompromising integrity as U.S. Army officers in service to the nation. West Point's Center for Environmental and Geographic Sciences (CEGS) focuses on applied and academic research at the local, national, and global levels and integrates the three programs (Environmental Engineering, Geography and GIS) for research and outreach to the academic and Army communities. University of Houston- Clear Lake is a public institution located in Houston, Texas that was founded in 1974. This partnership-orieinted university enriches students' lives through high quality academic programs and career paths that offer success in areas like business, education, human sciences, humanities computer engineering, and more. UH-Clear emphasizes strong academic standards in both teaching and research. Students are encouraged to take advantage of off campus programs within the Houston community to get hands on, real life experience and participate in community service as well as classroom study. The University of North Carolina Wilmington is a public university established in 1947 located along the North Carolina coast. Referred to as UNC Wilmington, this university enrolls more than 14,000 undergraduate, graduate and doctoral students annually. UNC Wilmington is part of a 17 campus system that offers a wide variety of degree programs. Their commitment to their students is to engage a journey of learning, inquiry and discovery combined with critical thinking to create an environment to grow, in order to anticipate the complexities of modern citizenship. Founded in 1963, the University of West Florida services approximately 12,000 students throughout various campuses. The student population is comprised of undergraduate, graduate, and research programs. At UWF, the Environmental Science department emphasizes that students analyze physical, social, and economic environments and their interrelationships. The curriculum is engineered to provide a strong foundation in natural sciences and current techniques like cartography, remote sensing, and GIS. The department offers three tracks that prepare students for their respective professions or graduate studies. Texas A & M University-Corpus Christi is located on its own island on the Texas Gulf Coast that offers more than 80 degree programs. This university provides a solid academic reputation since 1947 and is part of the Texas A & M System. The University offers a friendly environment where students and faculty work one on one learning, researching and participating in the local community. Texas A & M offers five academic colleges with undergraduate, master's and doctoral degree programs. Salisbury University, in Salisbury, Maryland offers a strong and fast-growing Environmental Studies Program. Strongly interdisciplinary, the program integrates humanities and social sciences along with natural sciences to create leaders who are capable of examining complex environmental issues and posing workable solutions at the local, national, and international levels. In addition to the interdisciplinary nature of the curriculum, students are encouraged to engage in experiential learning opportunities like research, community engagement, and fieldwork. University of North Carolina at Chapel Hill accepted students for the first time in 1795, making it the nation’s first public university. UNC Chapel Hill is globally renowned and as one of the best research universities in the world. The Environmental Science and Engineering Department focuses on the interaction between humans and the global environment. Interdisciplinary programs focus on the physical and life sciences, engineering and policy. Research strengths include developing engineering and policy solutions to environmental risks and overcoming environmental health challenges in developing countries. Oregon State University located in Corvallis, Oregon is a leader in Environmental Sciences. The College of Earth, Ocean, and Atmospheric Sciences retains faculty with international renown in earth sciences. Environmental scientists must be able to assess problems, and provide predictions and solutions and OSU prepares students for these tasks. OSU's BS in Environmental Sciences offers an interdisciplinary approach to environmental problem solving and prepares students for further study or career paths. At University of Redlands in Redlands, California, the emphasis has been on leading by example - teaching and demonstrating a commitment to good citizenship and environmental responsibility every day. Since the university's founding in 1907, the university has continually advanced their vision of environmental stewardship starting at home with green buildings, LEED standards, and a cogeneration plant and continuing into the world as graduates make and influence environmental research and policy. Interdisciplinary program offerings at University of Redlands include majors in Environmental Business, Environmental Policy & Management, Environmental Science, and Environmental Studies. Yale, located in New Haven, CT was founded in 1701 is an Ivy League research university and is the third oldest institution in the United States. Yale partners with it's city, New Haven, CT and people around the globe to strengthen it's community and economy to train the next generation of world leaders and to improve the human condition. Yale provides students with an inspiring environment to develop a collaborative, disciplined intellect so they can be successful in their career path and find a passion for life long learning. Yale is committed to improving the world today for future generations through outstanding research, scholarships, education, preservation and practice. The University of California RIverside, founded in 1954, is a public university located 50 miles east of downtown Los Angeles and within driving distance from major recreational and cultural sites. It's campus size is 1,200 acres. UCR is highly recognized as one of the most diverse research universities in the United States with approximately 22,000 students enrolled annually. There are 65 undergraduate majors representing three colleges, Bourns College of Engineering, College of Humanities, Arts & Social Sciences and College of Natural & Agricultural Sciences. Miami University, located in Oxford, Ohio is considered one of the most outstanding undergraduate institutions in the country offering a wide range of strong academic programs and exceptional personal attention that is usually only found in smaller schools. Miami University offers a variety of bachelor's degrees in more than 120 areas including master's and doctoral degree programs. Miami's focus is to focus on the students' overall education and personal growth offering residential ad community based programs to teach and develop leaderships, citizenship and character. For more than 160 years, California University of Pennsylvania has been forming students into leaders and policymakers who help the world. California University offers an undergraduate degree in environmental studies which integrates rigorous scientific study in order to prepare students for entry into a professional career or further study as a graduate student. Pursuing a BS in environmental studies allows students to choose from five tracks which include Natural Resource Management and Policy, Conservation Ecology, Environmental Science, Fisheries and Wildlife Biology, and Leadership and Management. The department also offers a minor concentration that has a broadly based background in environmental sciences. Georgia College & State University, founded in 1889 is a public liberal arts institution located on 602 acres in Milledgeville, Georgia.The most popular majors are Business Administration, General Heath Teacher Education, Registered Nurse and Marketing/ Management. Students will combine classroom knowledge with real world experience and have study abroad opportunities, internships and undergraduate research opportunities to broaden their knowledge combining education to real world issues. The University of Tennessee at Chattanooga is a public university located in Chattanooga, TN that was founded in 1886. Chattanooga is known for its nationally ranked Business degree program as well as its Engineering, Nursing, and English programs. They offer more than 140 undergraduate major and 50 undergraduate minors as well as master's programs. The University of Tennessee at Chattanooga is considered a national model for metropolitan universities. The University of South Florida was founded in 1956 and is a public four your university offering undergraduate, graduate and doctoral level degrees. The three school, 14 college institution serves more than 48,000 students who can select from 180 undergraduate majors. The University of South Florida's mission is to deliver competitive undergraduate and higher programs to generate knowledge, encourage intellectual growth and ensure success in a global environment. Located in Des Moines, Iowa, Drake University is a well-acclaimed private university. Drake's core values include preparing students for responsible global citizenship. This mandate is evident in the Environmental Sciences department where the interdisciplinary degree program prepares students to analyze connections between humans and their environment through a combination of natural and social sciences. Drake emphasizes opportunities like field and lab work, project-based learning, and technological aptitude in order to meet with success as an undergraduate and to carry on to professional life or further study. The University of Maine is located in Orono, along the banks of the Stillwater River. Established in 1897 as the University of Maine, it has remained strongly focused on technical and science schooling since its inception. UM's Ecology & Environmental Sciences Program (EES) offers both undergraduate and graduate level studies in order to give students the power to analyze and problem-solve todays complex environmental problems. The EES program encourages students to explore research opportunities within Maine's unique landforms, flora, and fauna. Drury University, founded in 1873 is a private liberal arts college located in Springfield, Missouri. Drury believes that community outreach is an important part of life and collaborates with the community to get students actively involved as a part of their curriculum to enhance their education. Drury's study abroad program is enjoyed by more than half of the students whether the stay is short or long term. Foreign learning is a requirement for most students in the Business and Architecture schools. The University of Maryland, Baltimore County is a public research university located on 500 acres in Baltimore County, MD approximately 8 miles from downtown Baltimore. UMBC offers 48 majors, 38 minors and 25 certificate programs that cover the arts, engineering and information technology, humanities, and sciences to 14,000 students. UMBC is rated in the top ten for best undergraduate teaching six years in a row. UMBC is dedicated to the cultural and ethnic diversity, social responsibility and lifelong love of learning. Founded in 1878 in Pittsburgh, Pennsylvania, Duquesne ranks among the country's top Catholic research universities. The University is a continual contender for rankings from U.S. News, World Report, the Princeton Review. One of the core values of Duquesne's mandate is that of stewardship, and the school's Environmental Science program helps forms students' skills and ethics to support this aim. Students will study the effects of humans on the earth through such methods as study abroad, research, lab work, and intensive coursework.